Been a while since I been on here..
Anyways, now i'm on solid grounds again and got a 370. 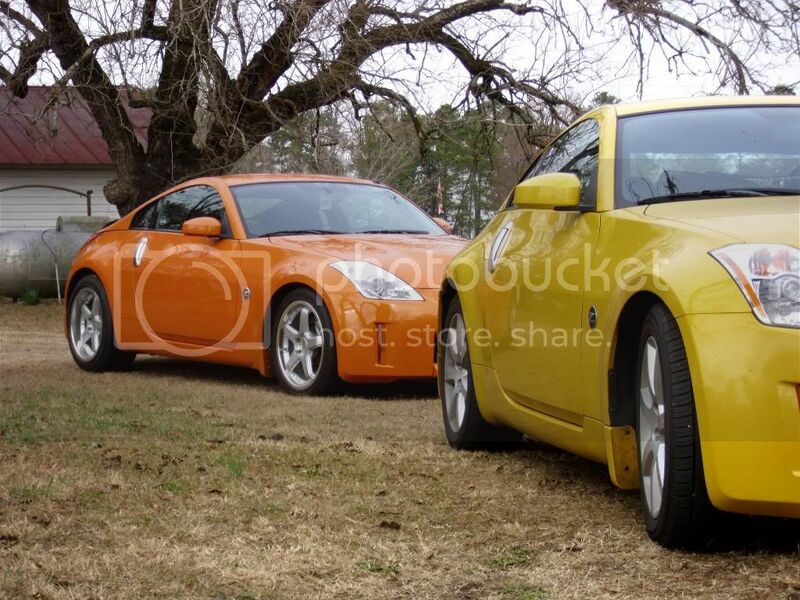 Solar Orange in the back was my Z. Always thought the 350 looked better. But when these are done right they're impressive. And the power was exceedingly stronger than my HR VQ35. Super Excited! Nice pick up. The power is no doubt stronger than the hr stock for stock but with an exhaust you will have the same power. Congrats love the color. 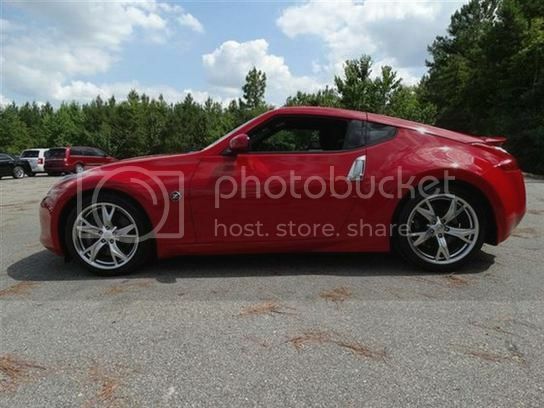 i'd love to have all the bolt ons i have on my z, done to a nismo 370z. Nice, the 370's are definitely growing on me... Hated them at first but the more I see them in person the more I want a white pearl sport edition. And you're right, a few simple mods can make them look pretty sweet. Congrats! Yes, the 370 is definitely an upgrade from a 350 in every way. Oddly, I dont miss driving it at all. if all the z35 rumors are true we will have a lighter 2.5 Turbo beast..
btw same source predicted that the z34 would be lighter, more power and a revolutionary design, so chances are we will have something a couple hundred pounds lighter and a little more power, maybe this time they won't mess up the headlamps. That said If I didn't have my HR I would jump in a lightly used 09 z34 and drive it till the next gen comes out, but only temporarily, Everytime I see one from a side profile I get a excited, then I see the front and want to punch my steering wheel. Last edited by 350zsunshinefl; 07-01-2014 at 07:01 AM. Ive been saying Z35 will be a hybrid. Q line is...why not? Thats what I heard too. 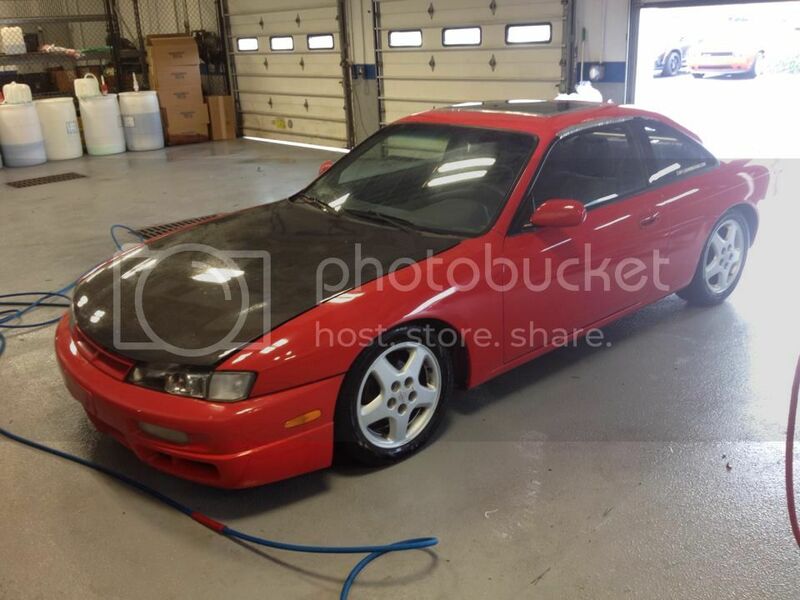 I just bought a '14 3.8 Grand Touring too. i like the new 14' coupe, someone I know has one - the only thing I was surprised by is that the hood vents are fake. I just don't get it, its a nice upscale sports lux coupe and they throw on those cheap plastic non functional vents!!!! First thing I would do is dremel them out and put some wire mesh in there! Interior is on par with mercedes and bmw btw, I was surprised by the quality of it considering its a sub 40k car. I agree with all of this, and the interior is quite amazing for a 350HP, $35K car. It really is as good a BMW for half the price comparably equipped. is miles ahead smoother, do you find this to be the case ? two models since you've had both, for a prospective buyer of the 370 ,road noise in , repairs ? Last edited by Power Chords; 02-25-2016 at 04:24 AM. Having owned both a Z33 and Z34, the ride is definitely smoother with the 370 (given the newer suspension upgrades over previous years). The 370 rides more like a "luxury" sports car compared to the 350 (which seemed more like an all around bare-bones sports car -- but in a good way). The interior is beefed up a little in the newer models and doesn't feel as cheap as it did in 2003-2008. Yes, there's definitely a power difference. I noticed it the second I sat in the 370 at the dealer. They are both great cars, I love and miss them both. Have you tried test driving both models to see which you prefer? Thanks, I was figuring on poss not getting a response. and photos, I'm looking at June/July to make my purchase. I'm thinking Auto , Touring. amenities both visual and textile. I like the navigation feature too. For a daily driver in traffic , the 370z looks to be the better fit for me. I'd be happy with either I'm sure, but might be ecstatic with the 370.
in my region, they're very hard to find. of the trips I need to take. Having owned both I dont think youll notice the power difference that much, if at all DD on the street. On the track my 370 was notably quicker around Sebring Track than my 350. The ride is head shoulders smoother than the 350 and the linear powerband is nice as well, not to mention the interior (though still pretty spartan compared to other cars). might be out there somewhere in a 370? the paddle shift system ? down shifts only , or on the upshifts too ? fatigue your leg in traffic. Do you guys find that to be the case ? Last edited by Power Chords; 02-26-2016 at 04:54 AM.